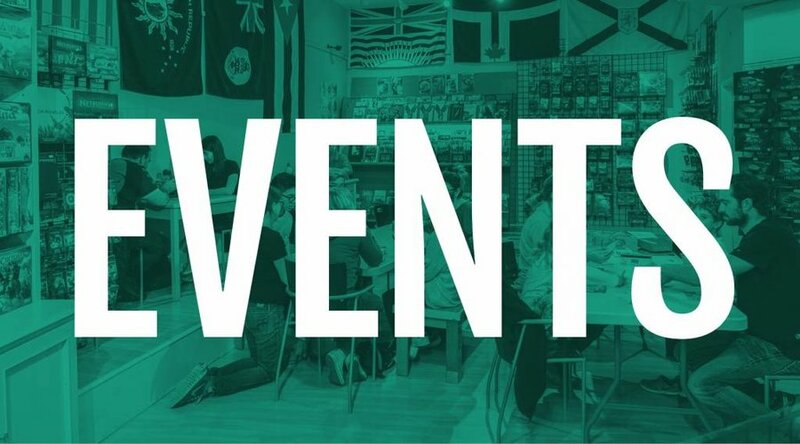 Ten games to make you question your friends’ loyalty - One Stop Shop Cards and Games // Vancouver, BC's home for Board Games, Card Games, RPGs and more! Social deduction games are ones with a hidden betrayer or bad guy. Everyone seems nice enough, but may have secret motives that place them at odds with the rest of the group. 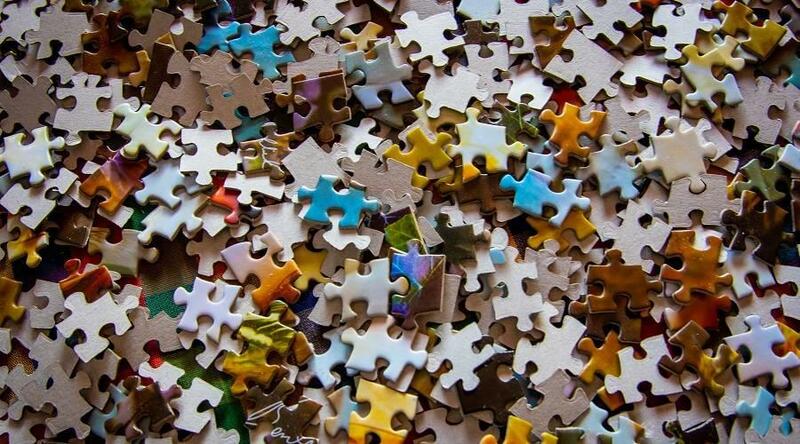 While your job might be to carry out some in-game mission, their job is to screw things up - best find them before they make too much of a mess! 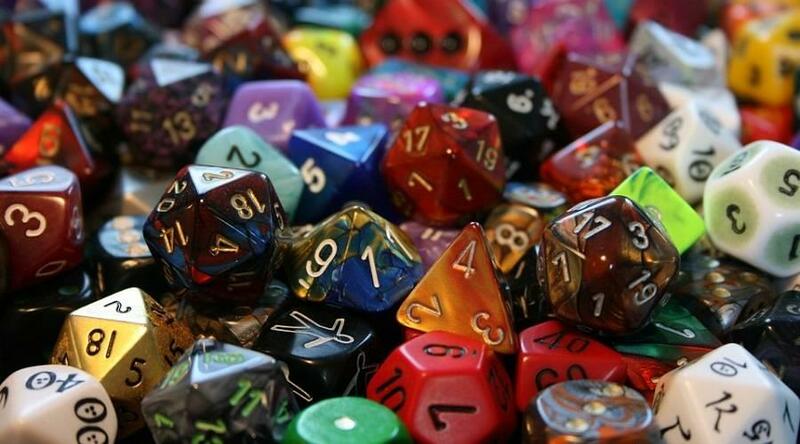 Social deduction tends to be a good option for parties, where quick games thrive. That’s why we’re leaning toward lighter fare in this article, even though many great social deduction games are out there. Spyfall is a game of seeming like one of the crowd. 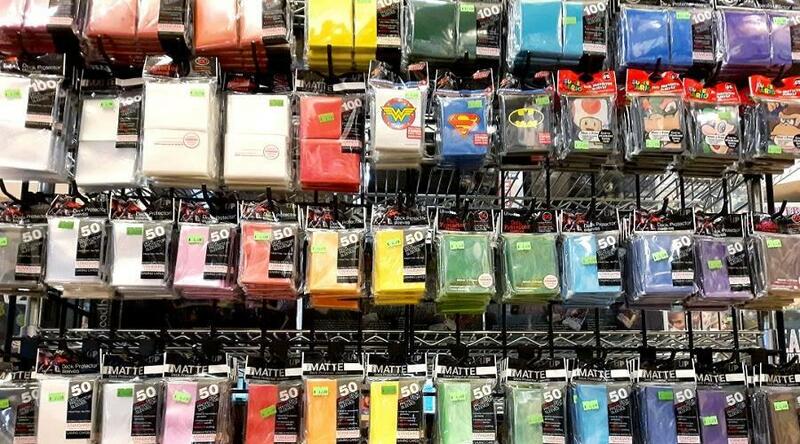 At the start of each round, everyone receives a card. That card will have the same image of a location - unless you’re the spy. The spy has no idea where the group is located in the game, and must figure out as much as they can without giving away their secret identity. Once the players have peeked at their cards, the interrogation round begins. Players must ask one another questions about their location, the answers to which will hopefully convince the group that they belong without giving too much information to the spy. If the spy can pass the round undetected or can identify their location, they win. Otherwise it’s a win for the rest of the group. Spyfall 2 is the sequel to Spyfall and simply offers more locations for more fun. It’s a standalone game, so the first Spyfall isn’t needed to play the second. 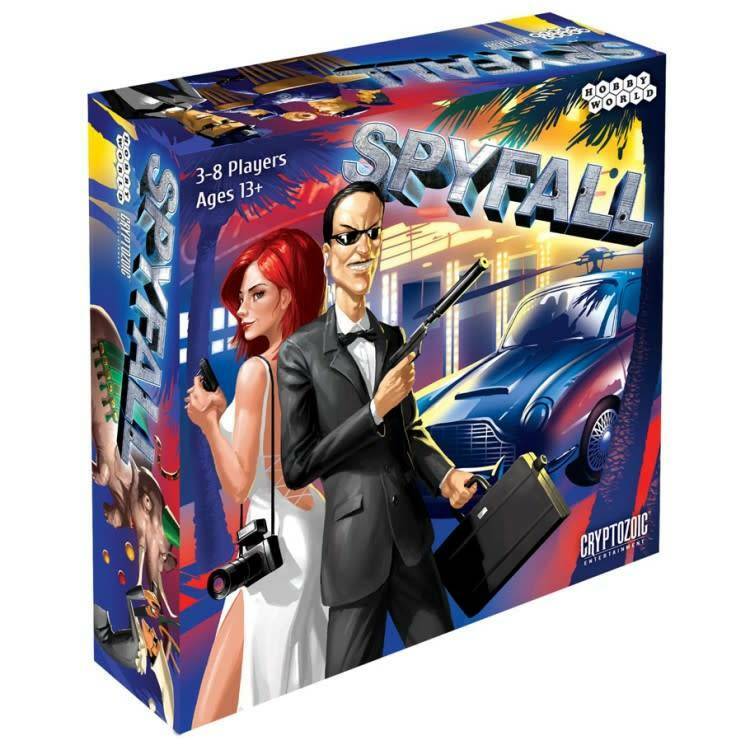 Spyfall and Spyfall 2 are great for 3-8 players (a minimum of 4 is best), ages 12 and up. Fake Artist is like a mashup of Spyfall and Pictionary. In this game, the fake artist is trying to play it cool while the group practices their illustration skills. The real artists all receive a card with the same secret word, then take turns drawing that word one line at a time. The fake artist, on the other hand, only gets an X on their card and must do their best to figure out what the heck they’re drawing before they’re found out. 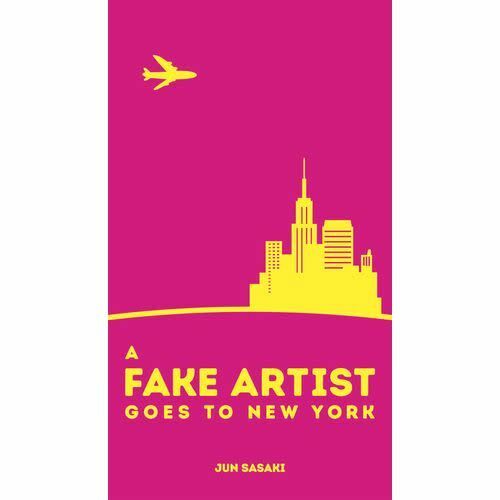 A Fake Artist Goes to New York is a game for 5-10 people ages 8 and up, and good art skills are NOT required. 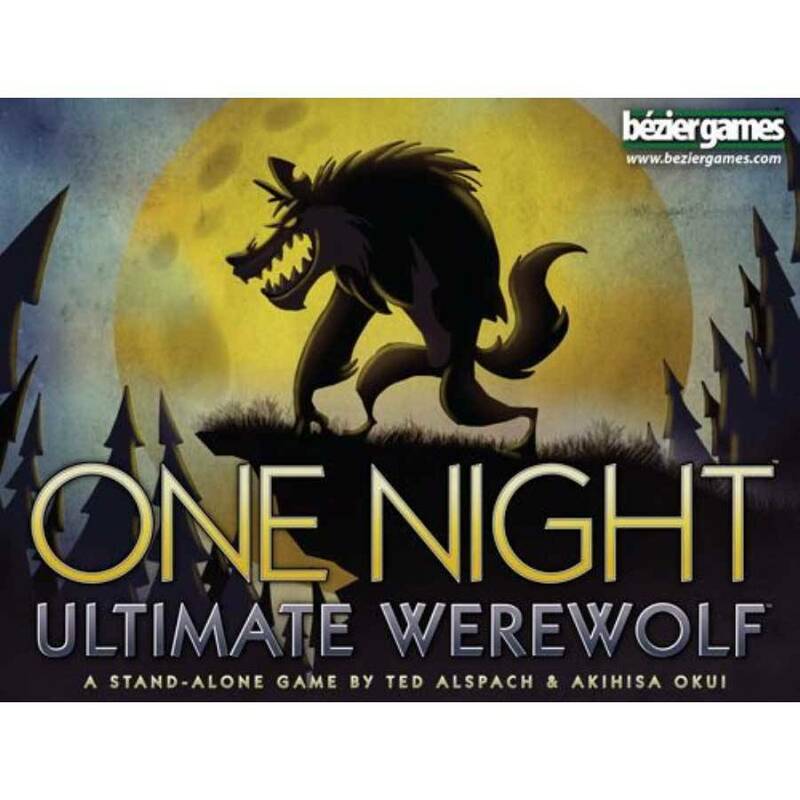 One Night Ultimate Werewolf was the first in this line of snappy social deduction games in which baddies terrorize unsuspecting villagers. Each player receives a secret identity card, identifying them as a Seer, Troublemaker, Tanner, werewolf, Drunk, or other role. You clearly want to find the werewolves, but it isn’t that easy. You see, your townsfolk have a serious sleepwalking problem; each one peeks at cards, switches cards, or self-sabotages depending on their roles. You are also working on deadline, with only minutes to unravel what the heck happened last night. A free app serves as narrator / referee, guiding you through each round. It’s an excellent addition and will keep things snappy. 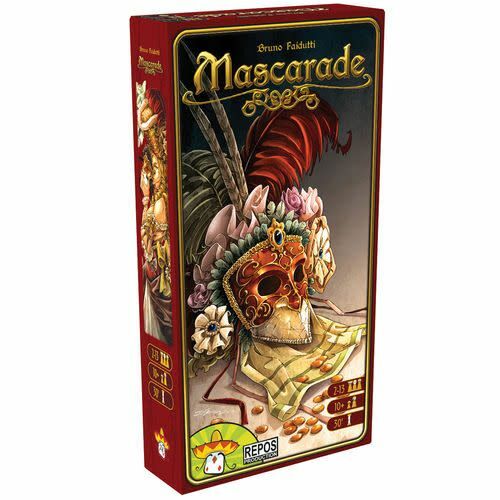 Mascarade will seriously test your memory and bluffing skills. 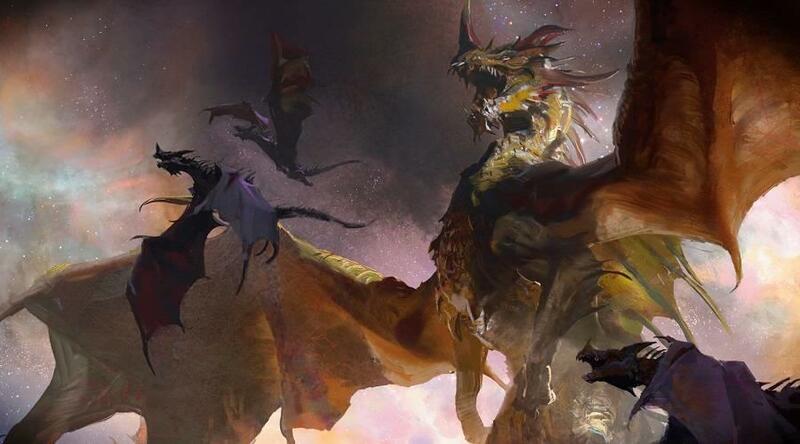 Each player starts with six gold and an identity with unique abilities. 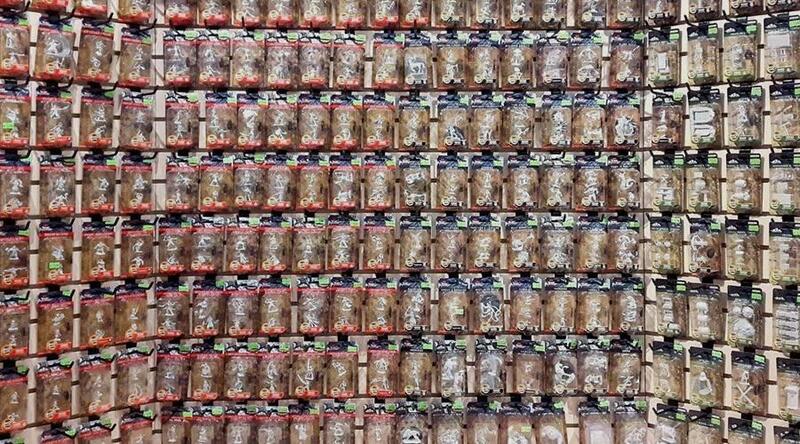 Everyone has a look at each player’s identity… before they’re all flipped over and the memory game begins. 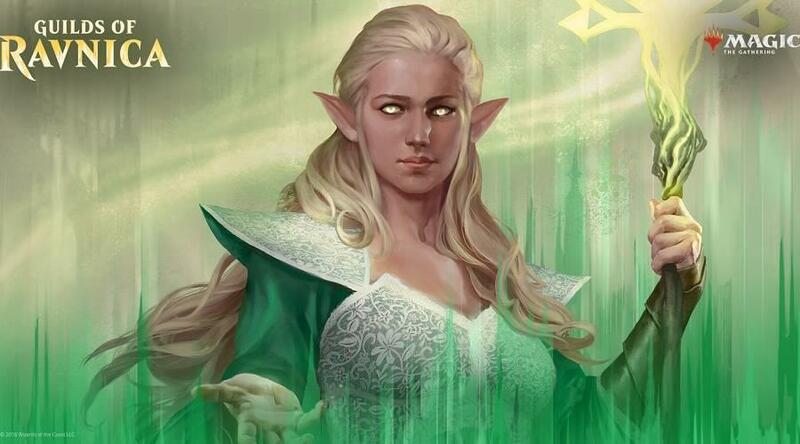 Players are able to look at their identity, swap roles with another player, or boldly announce who they are so they can take the role’s action. Thing is, they could be lying about that identity. It’s up to you to call them out before they can profit off their ill-gotten gains. Mascarade can play from 2 to a whopping 13 players, but it’s really best around 7-8. Ever wanted to be in a spaghetti western? Bang! 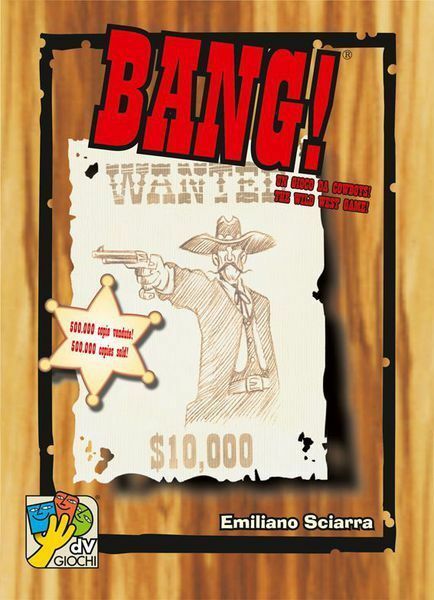 is your chance - it’s an Italian game set in the Wild West. Players take on the roles of the sheriff and his deputies versus the outlaws and renegades, but only the sheriff’s identity is public knowledge. Players have to figure out who’s on which team while throwing bullets, guns, horses, barrels, wagons, Cat Balou, and other western movie mainstays at each other. But to be perfectly honest, half of the fun of this game is making jokes about banging your friends. Play it with 4-7 people, ages 10 and up. Time to get Medieval on this good vs. evil business. 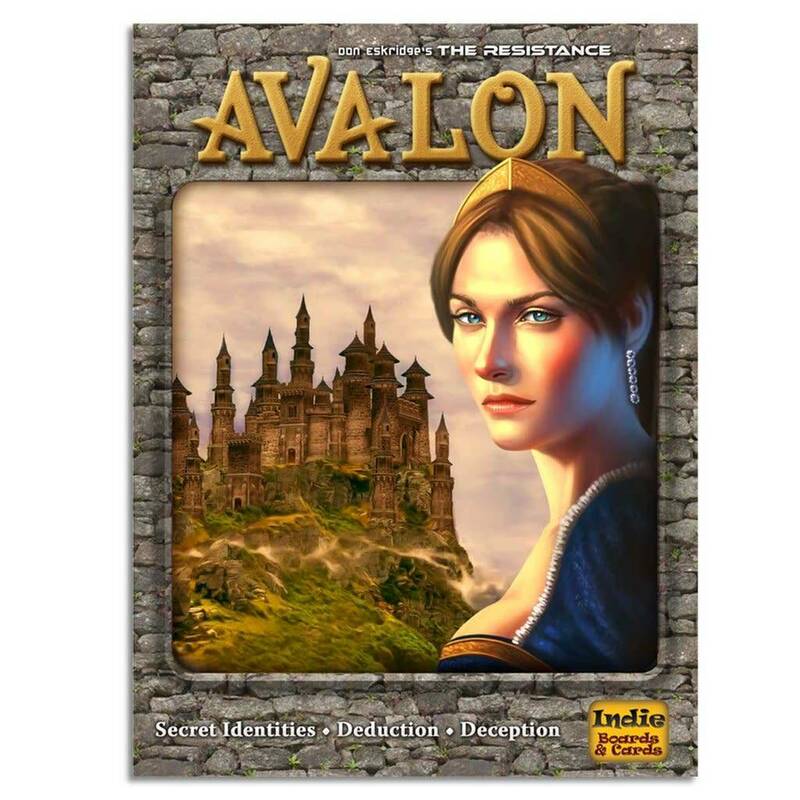 In Avalon, players are secretly aligned with the forces of Merlin (the good guys) or the forces of Mordred (the baddies). Merlin and friends are simply trying to complete a few quests for the glory of Avalon, but Team Mordred is playing to sabotage. That is so like them. Can the forces of Merlin identify the saboteurs through trial and error in time to complete their quests and bring glory to Avalon? Avalon plays 5-10 people, ages 13 and up. 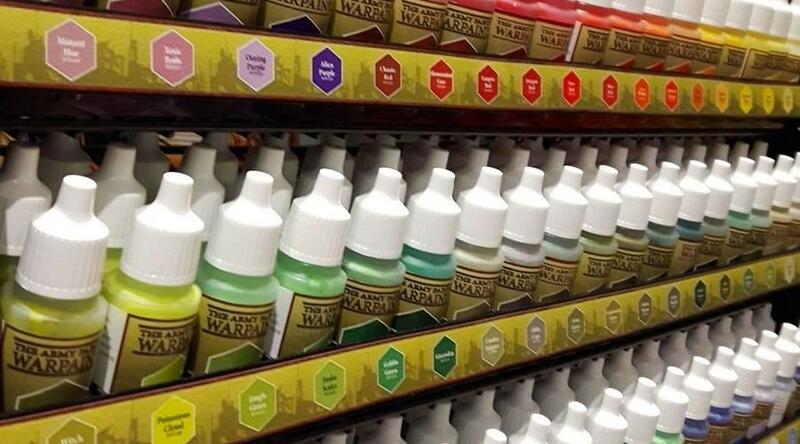 Deception is like a mashup of Concept and Mysterium. 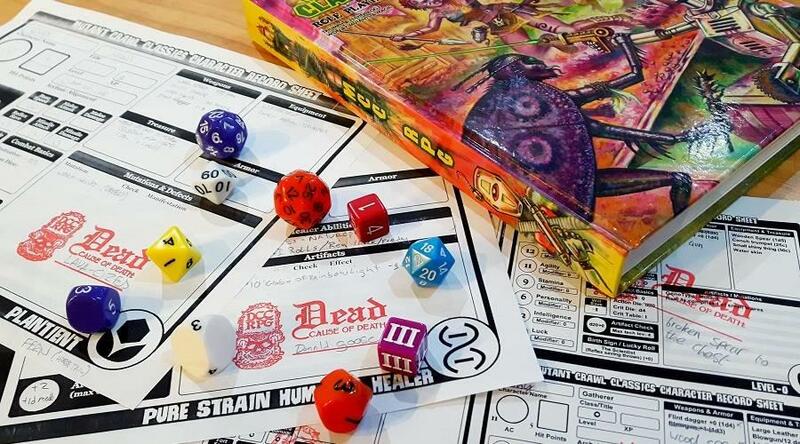 One player takes the role of Lead Investigator, who wordlessly communicates which of the remaining players is secretly a murderer through the use of symbols on a board. Everyone else must try to interpret these symbols to identify a murderer in their midst. But as one of the crowd, the murderer is fully able to speak and mislead the group, provided they can avoid suspicion long enough to keep themselves safe. 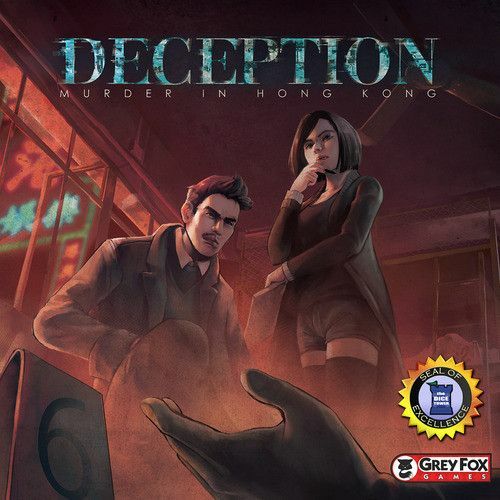 Deception: Murder in Hong Kong is a game for 4-12 players, ages 12 and up. With a name like Saboteur, you can probably guess what the hidden baddie is up to in this one. And you’d be right. 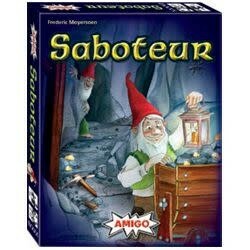 Saboteur is set in dwarven mines, where all the good little miners dig for gold. The saboteurs, however, want the gold for themselves and do what they can to derail the group’s plans for a stable, gold-based economy. Saboteur is best for 3-10 players, ages 8 and up. Shadows Over Camelot is really the game we have to thank for all the other games on this list, as it was the first truly popular traitor mechanic game. It’s set in King Arthur’s Camelot (could be the Monty Python version, depends on your group) and you’re all gathered around a mysterious round table. The goal of the game is to work together to complete enough quests, but wouldn’t you know it - there’s a traitor in your midst. Players must power through to get their questing done before Sir Spoily McSpoilerface gets in the way. 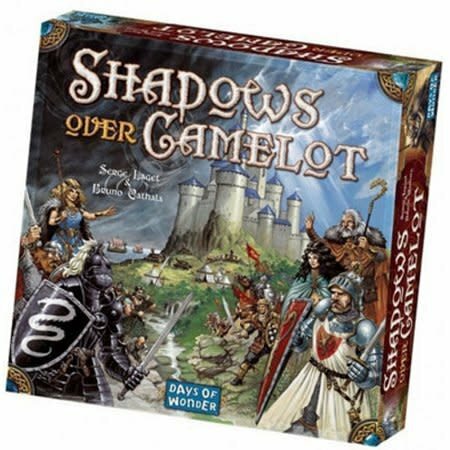 Shadows Over Camelot is great for 3-7 players (5-7 is best). Yup, it’s a game based on that 1982 cinematic masterpiece, John Carpenter's The Thing. As in the movie, this game is set in Antarctica’s Outpost 31, where a parasitic… thing… has taken up residence in a few of the local humans. It’s your job to identify which players are secretly Things and make sure they don’t get off the base in your escape chopper. ...Unless you’re a Thing. If you’re a Thing, you definitely want a ride on the evac flight to civilization. 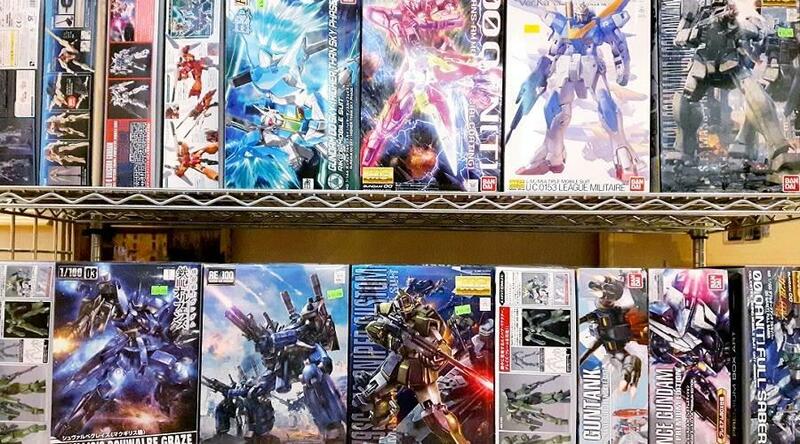 Barring that, you’re also cool with simply sabotaging as much as humanly possible. Heh. The Thing is very similar in gameplay to Avalon, where players take turns leading missions with the people they think they can trust and identifying betrayers through a process of elimination. The Thing also incorporates a board, character tokens, and a wider variety of resource cards to add greater depth. 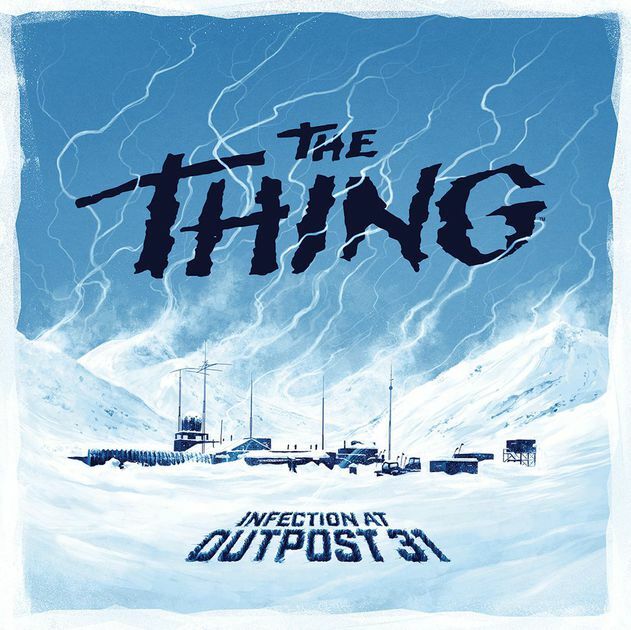 The Thing: Infection at Outpost 31 is best for 4-8 players (the more, the merrier). A typical game lasts 1-2 hours, plus or minus parasite-induced character death. Hooray! 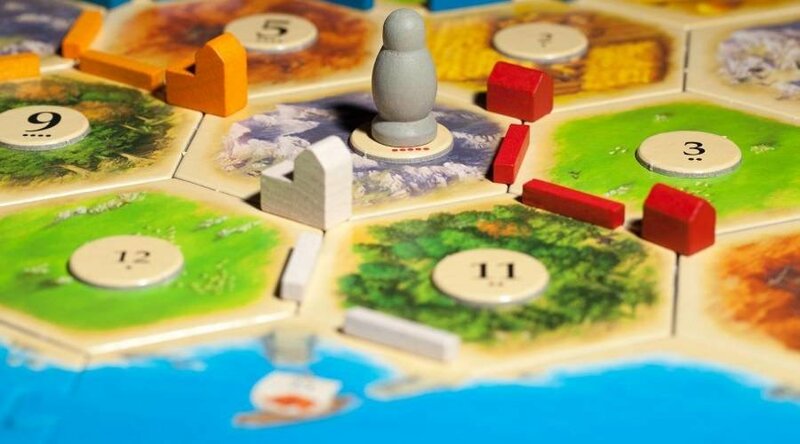 New to euro-style board games? Get hooked with these 10 amazing intros!